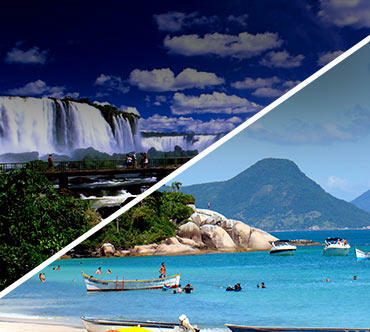 Enjoy your bus trip to Florianópolis and get to know the "magic island" like never before! Florianópolis is one of the most popular island in Brazil. Located in southern Brazil, Floripa for short or "the magic island", is sorrounded by paradisiacal and stunning beaches. It is a mandatory stop for people seeking for sun and fun. There are around 42 beaches one more beautiful than the other, for all tastes. Jurere is perfect to chill out on the beach, Mole, Joaquina, Galheta are the best surfing beaches and Campeche and Lagoinha do Leste are the most breathtaking. People only need spend a few days in Floripa to understand why nobody never leave and why visitors always plan to come back. Besides the beaches, amazing trails and nature places, the city offers an awesome nightlife and excellent seafood. In Lagoa da Conceição tourists can enjoy the good restaurants and great nightlife because of its bars and parties. 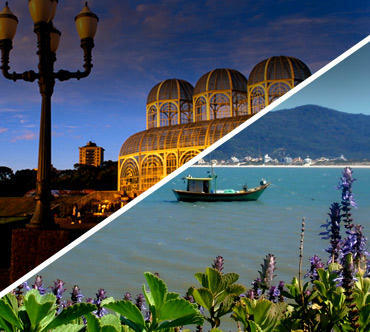 Floripa is awesome all year round, it depends on what you are looking for! 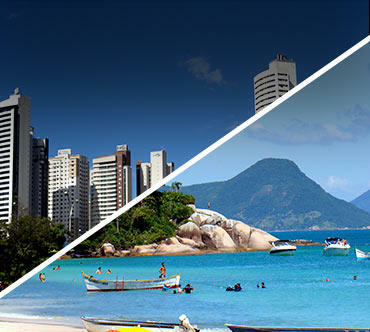 December to February are summer high season months and the liveliest time to go to Floripa. The summer vacations of Brazilians and Argentinians occur at this time. Temperature is warm during the day (about 30º.C) and milder during the night (about 23º C). The climate is greater in March, April and May to explore the island. Is also hot during the day but very comfortable during the night (achieving 18º C). The beaches are not too crowded and you can enjoy all the attractions in the island (from trails, historical neighborhood and nightlife). Weather on June and July is very unstable, with cooler days, but it is the time of big swells and perfect for hiking to explore the island. And from August to November are the months where the temperature begins to improve and when the winds appear to brighten kitesurfers. It is also the time when the most beautiful visitors come to the coast, the Whales! Florianopolis Bus Station, also known as Rita Maria Bus Station is located at Avenida Paulo Fontes, 1101, Downtown The main Bus Companies that operates on Bus Terminal are 1001, Itapemirim, Catarinense, Real Expresso, Brasil Sul and Expresso do Sul. If you need any help you can call them on their number +55 (48) 3212-3100, but we can not guarantee they will be able to speak in English tough. The bus station is open 24 hours every day. Curitiba to Florianópolis: The route has a distance of 301 km and duration of 4h and 45min. This route is operated by Catarinense Bus Company and the departure is from Curitiba Bus Station. Iguazu Falls to Florianópolis: You can go from Foz do Iguazu to Florianópolis by bus with Catarinense and Pluma Bus Companies. The bus trip takes from 15h to 17h and there are sleeper seats available at a higher price for who would like to sleep a little better along the way at night. Buses leave 4 times a day. Sao Paulo to Florianópolis: Catarinense and 1001 are the bus companies responsible for the bus route from Sao Paulo to Florianópolis. There are more than 15 buses leaving from Tiete Bus Terminal a day. The route has a distance of 694 km and takes from 11h to 13h. Rio de Janeiro to Florianópolis: Itapemirim and Penha are the bus companies responsible for this route. The bus trip takes about 18h and buses leave from Novo Rio Bus Station. You can choose sleeper or half sleeper seats to travel more comfortable because of long distance. 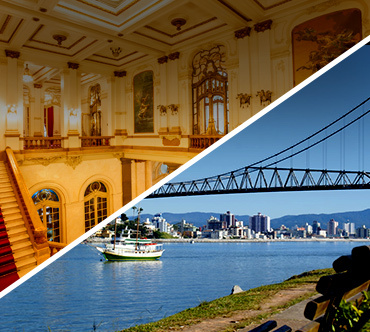 Bus tickets to Florianópolis: Here at BRASIL BY BUS, you can book your bus ticket for more than 3.000 destinations in Brazil with the main bus companies in the country. Booking and cancelation are 100% online and international travelers can book it using their international credit card.